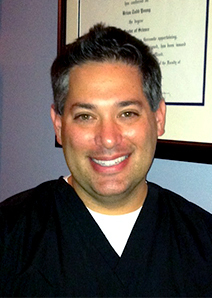 Dr. Brian Todd Young was born in Colorado Springs, Colorado and was raised in Jacksonville, Florida. His interest in dentistry began at an early age, as both his father and grandfather were practicing general dentists. Completing his undergraduate studies at the University of Florida, Dr. Young went on to earn his Doctor of Dental Surgery (DDS) degree at the University of North Carolina at Chapel Hill. Shortly thereafter, he returned to the University of Florida to complete specialty training in periodontics and implant dentistry; he also attained a Master of Science degree. Dr. Young is a full-time, licensed periodontist and implant specialist with over 12 years of experience in the field of dentistry. He founded Perio Implant Services (previously Jacksonville Periodontics and Implant Dentistry) in 2002 and provides dental implant and periodontal surgical care in an itinerant setting. Currently partnered with Dr. Wagner at Eccella and many other dentists in the greater Jacksonville area, Dr. Young offers his expertise and skills to Eccella patients from the convenience of our Jacksonville Beach office. Dr. Young is involved in progressive periodontal, dental implant, and bone regeneration clinical practice and specially trained in techniques involving minimally invasive, computer-guided dental implant surgery and tissue grafting techniques. In addition to his qualifications, experience, and education, Dr. Young upholds current certifications in Advanced Cardiac Life Support (ACLS) and Conscious Sedation (State of Florida permit.) He has also lectured to the general public, general dentists, and other surgeons on numerous current issues regarding dental implant reconstruction and periodontics. As a recipient of the American Dental Association (ADA) award for his commitment to this cause, Dr. Young has been heavily involved in coordinating care for the underserved population in Jacksonville since 2002. He founded the Institute for Guided Implant Surgery (IGIS) in 2006 and taught continuing education programs in guided surgery technique to hundreds of dentists until 2011. He also served on the Jacksonville Dental Society Board as President during a 4 year term from 2007 to 2011, spent 5 years from 2008 to 2013 on the Editorial Review Board for renowned dental implant journal Implant Practice US, and served on the Advisory Board for the exclusive publication Florida Doctor North for 8 years from 2005 to 2013. In 2009, Dr. Young was inducted as a Fellow Member of Pierre Fauchard Academy, an international honorary society comprised of ethical dentists with outstanding contributions to the art and science of dentistry. Learn more about Dr. Young at Perio Implant Services.